The Red Wheelbarrow Poets launched the gorgeous 7th edition of their yearly publication, The Rutherford Red Wheelbarrow, at readings at the William Carlos Williams Center in Rutherford, NJ on Wednesday, Sept. 3, and at GainVille Café, also Rutherford, Friday, Sept. 5, both at 7 PM. 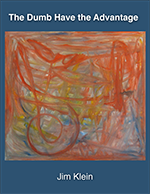 The book features a stunning cover by Melanie Klein and the poetry and prose of a record 45 area writers who have either participated in the RWP’s long-running weekly poetry workshop or who have read their work at the Williams Center or GainVille Café in the past year. More than 15 interior drawings have been supplied by poet and artist Don Zirilli. This year’s featured poet is Mark Fogarty. He is a Rutherford poet, musician and journalist who has written three books of poetry published by White Chickens Press: Myshkin’s Blues, Peninsula, and Phantom Engineer. The revival of poetry in Rutherford, Dr. Williams’ home town, began when poet John J. Trause, along with Jane Fisher, director of the Rutherford Public Library, founded the Williams Carlos Williams Poetry Cooperative of Southern Bergen County. From 2006 through 2012, John J. Trause ran the monthly readings at the Williams Center, featuring poets from the tri-state area as well as from further afield. This First Wednesday series now is run by the “Gang of Four” (Claudia Serea, John Barrale, Don Zirilli and Zorida Mohammed). The RWP weekly poetry workshop at Rutherford Borough Hall, now in its seventh year, is run by Jim Klein, the leader of the Red Wheelbarrow Poets. It is free and open to all local poets. The Red Wheelbarrow poets also read at the GainVille Café on the last Friday of each month in a music and poetry event organized by poet/musician Mark Fogarty with the participation of his friends and acquaintances in the music world. Recent featured musicians have included Lisa Bianco, George Pereny and Victoria Warne, who will perform at GainVille Sept. 5. Both the Williams Center and the GainVille readings offer an open mic to poets who are also invited to submit their work for next year’s publication. 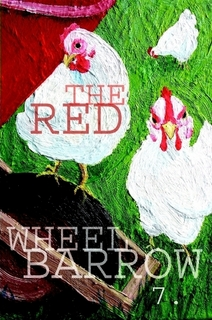 Copies of the book will be on sale at both events and are also available online at http://www.lulu.com/shop/red-wheelbarrow-poets/rutherford-red-wheelbarrow-7/paperback/product-21760712.html.